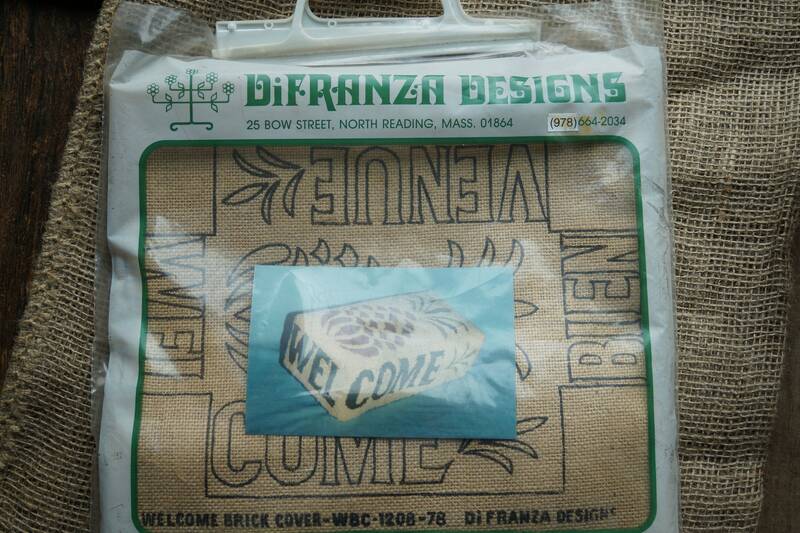 WELCOME BRICK COVER KIT. Pineapple design. 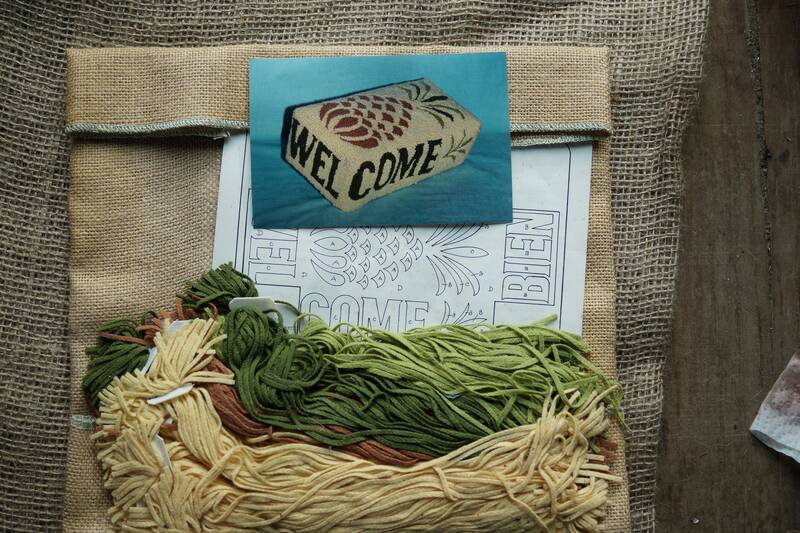 Kit contains instructions stamped burlap backing and 1/8 inch wool strips. Kit is computed for closely packed loops 1/8" high approximately 10 loops per linear inch. RUG HOOK NOT INCLUDED. Finished cone is 7 1/2 inches high finished. From DiFrana Design Studio.